Amanda (from Life and Times of a ‘New’ New Yorker) — whose boyfriend comes up with creative ideas for flavoring pasta sauce (jerk spice) and putting just about anything in the middle of an omelette. Janel of Freeland, MI (from Janel’s Jumbles– this is her 2nd win from Books on the Brain this week!) who wrote a description of rice pudding that would make you head for the ktichen cupboards in search of those simple and utterly satisfying ingredients. Lesley from Lincoln, NE (of Lesley’s Book Nook fame) whose commitment to books and food is so complete that she writes two separate blogs, one for each…. Thanks to all who entered! 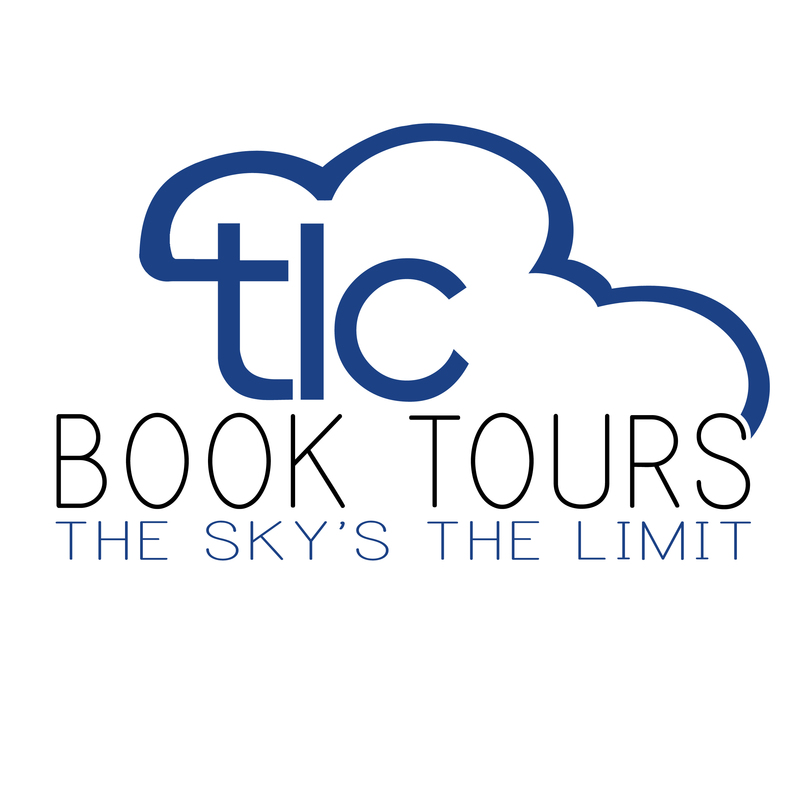 And please see my left sidebar for other opportunities to win books! Guest Post: Author Erica Bauermeister offers a Recipe and a Giveaway! 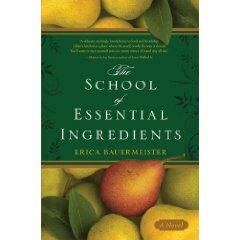 Erica Bauermeister is the author of The School of Essential Ingredients, one of my favorite books so far this year! In my review I stated that my only complaint about this delectable book was the lack of recipes. Erica, taking me seriously, wrote a guest post for me and included a recipe for Tom’s Pasta Sauce. Thank you, Erica, for the guest post and the wonderful recipe.. I can’t wait to try it!! Maybe I’ll make it for the hub on Valentine’s Day.. hmmmm. The idea for The School of Essential Ingredients came from a cooking class I took in Seattle, but the approach that Lillian, the chef/teacher in the novel, has toward food came from my experience of living in Italy for two years. While I was there I learned to see food as a conversation between ingredients rather than a lock-step set of rules I needed to follow. At first, that dialogue between ingredients felt as if it, too, was in a foreign language along with the Italian, but over time I learned to relax, to immerse myself in the flavors and textures of the ingredients, to worry less about using recipes. In short, I learned to play with my food. And what I learned is that cooking is a very forgiving activity. Switching out one ingredient for another is a creative act, not a destructive one. Coming out from behind the protective wall of a recipe allows us to come into closer contact with the food itself. Thinking of a recipe as an ice-breaker, a conversation starter, opens up endless possibilities. So here’s a recipe to get you started, because in her review Lisa asked for one so very nicely. A bit of background: Tom is a bit of a mystery to the other characters in The School of Essential Ingredients, who know only that he carries with him a deep and personal sorrow. It is Lillian, the cooking teacher, who instinctively knows that participating in the creation of a pasta sauce from scratch will be one way to help him heal. I offer this recipe with the hope that you will feel invited/directed/inspired to experiment. What would happen, for example, if you grated some orange peel into your sauce? Or used chicken sausage, or ground lamb with a bit of fresh rosemary? How might those bursts of creativity affect the life of someone you love? 1. In a large sauté pan, heat olive oil on medium-low heat until bubbles form. Crush the half bouillon cube into the oil and mix thoroughly. Add onion and sauté for 2 minutes. Add garlic and sauté until translucent. 2. Add ground sausage, increase heat to medium, and cook until meat is no longer pink. Add milk and simmer until absorbed. (Don’t worry if it looks strange at first; the milk will mellow the wine and make for a wonderful, lush sauce.) Add wine, reduce heat to low, and simmer until wine is absorbed. Add crushed tomatoes, tomato sauce, and salt and pepper to taste. Bring to a boil over high heat. 3. Reduce heat to low and simmer for 1-3 hours, covered if you want a rich, but slightly thinner sauce, uncovered if you want a thicker sauce and the smell to roam through your house. 4. Bring a large pot of water to boil. Cook penne pasta according to package directions, until al dente. Drain pasta and place in a large serving bowl. Ladle sauce over pasta; top with grated parmesan cheese if desired, and serve immediately. Do you play with your food? Erica would like to hear about it! She has generously offered three copies of The School of Essential Ingredients to help me celebrate my big 100K hit milestone! 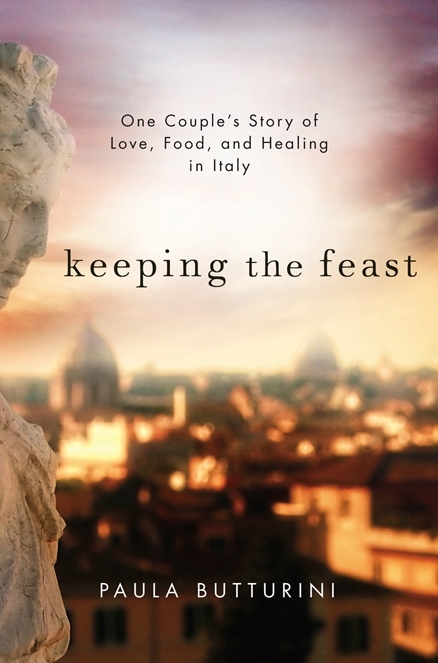 If you’d like a chance to win a copy of this wonderful book, all you need to do is send an email by Wednesday, Feb. 18th, to Erica at bookgiveaway@ericabauermeister.com telling her about your favorite dish. She will choose 3 winners from those entries. Please be sure to state in your email that you came from Books on the Brain. Good Luck! <—–Oh! And please check out my left sidebar for other great 100K Celebration Giveaways! The School of Essential Ingredients is a lovely new book by Erica Bauermeister. With intimate tables and soft lighting, heavy linens and crystal, glossy hardwood floors and fabulous aromas drifting out of the kitchen, Lillian’s is a place to celebrate, propose, and announce. It’s the kind of restaurant that will surprise and delight, with personal attention from Lillian herself and creative meals that leave all of your senses satisfied. On Monday nights, Lillian teaches a cooking class at the restaurant. Eight students make their way to class, coming through the side gate and following the golden glow to the kitchen in back, where they will learn to cook from a woman who knows how to inspire her students to create food from the heart and from their memories rather than from a recipe. Each chapter is told from the point of view of a different student, alternating between reflections of their past and what is happening in the present, how they found their way to the class and how they get to know the other students. Lillian seems to know just what her students need to learn, and the lessons transform not only their culinary skills but also their lives. Reminiscent of Garden Spells and Like Water for Chocolate, there is a bit of magical realism to the book- but just a touch- not overdone at all. Abuelita is the woman who helped a young Lillian get her mother’s attention through cooking, who taught her to understand what is essential in each situation and what is not. She shows her how food can evoke memories in a person, how you can bring about certain moods, certain behaviors and certain feelings with different types of dishes. Lillian learns well and is able to pass that particular brand of culinary magic on to her students. When they make a white on white cake, it brings back remembrances of the early days of a marriage for two of her students, a spicy tomato sauce brings thoughts of an Italian childhood for another, and a decadent tiramisu acts as the catalyst for a new romance in two more. Bauermeister’s vividly detailed descriptions of food leave your mouth watering and put you right into Lillian’s kitchen. The writing is richly textured, lush and sensual. It is really quite beautiful. This is a debut novel but felt like it was written by a wise old soul. To give you an idea of the gorgeous flavor of the writing, and the beautiful imagery, here are a couple of passages. I read an uncorrected proof of The School of Essential Ingredients, so the finished book may differ slightly. At home Lillian opened the bag and inhaled aromas of orange, cinnamon, bittersweet chocolate and something she couldn’t quite identify, deep and mysterious, like perfume lingering in the folds of a cashmere scarf. Set between the straight lines of a bank and the local movie theater, the restaurant was oddly incongruous, a moment of lush colors and gently moving curves, like an affair in the midst of an otherwise orderly life. Passersby often reached out to run their hands along the tops of the lavender bushes that stretched luxuriantly above the cast iron fence, the soft, dusty scent remaining on their fingers for hours after. The air was beginning to fill with the sweet spiciness of roasting corn, the soft whispers of the tortillas flipping, then landing on the grill, the murmured conversation between Abuelita and Antonia, something about grandmothers, it sounded like. Chloe placed the tomato on the chopping block. She was surprised to find how much affection she had for its odd lumpiness. She tested the point of the knife and the surface gave way quickly and cleanly, exposing the dense interior, juices dripping out onto the wooden board, along with a few seeds. Grasping the knife firmly, she drew it in a smooth, consistent stroke across the arc of the tomato, a slice falling neatly to one side. See what I mean? The whole book is like that! I just opened random pages and easily found wonderful examples. My only complaint about this book is that there are no recipes, however that makes sense since Lillian is teaching her students to cook without using recipes. Still, it would be nice to know how to make these dishes- or to know what essential secret ingredient to add to tonight’s dinner to make my children behave and my husband pay attention! If you like good fiction and good food, The School of Essential Ingredients, which will be released tomorrow, is the perfect combination of the two. I realize I’m gushing here, but I loved the warm little world within these pages, and was sorry to leave it. The author’s website can be found HERE. 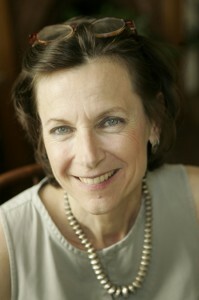 Chez Moi by Agnes Desarthe was written in the author’s native French and translated into English. This meandering story is about Myriam, a 40 something woman with a haunted past who secures a bank loan based on a fictitious resume to open a restaurant. Chez Moi (“my home”) is just that, both home and eatery, tucked into a small corner on a quiet Paris street without so much as a sign announcing it. Myriam sleeps on a donated banquette in the dining room and bathes in a deep stainless steel sink in the kitchen. Myriam attempts to do everything by herself- shopping, cooking, cleaning, waiting tables, and bookkeeping. She’s a talented cook but doesn’t have any business sense whatsoever. Almost despite herself she begins to have regular customers but soon finds she cannot do it all alone. Just when she needs him most, the best waiter in the world appears. Ben has grown up in the neighborhood and knows everybody. He’s savvy with money and knowledgeable about the internet and in the kitchen. He helps Myriam’s business really take off, but more importantly plays a role in healing her fractured heart and helping her move on from her past. 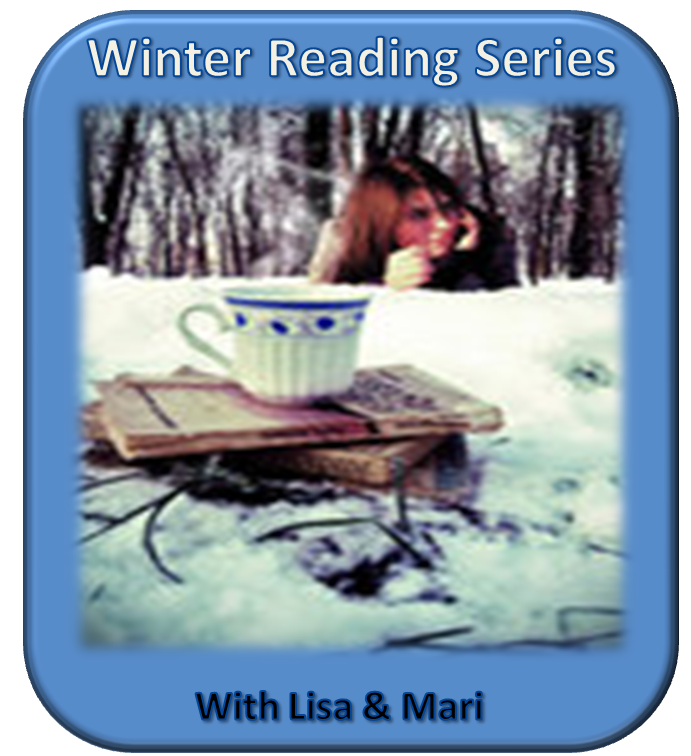 We learn about Myriam’s past as she ruminates over mistakes she has made in her life. Her biggest heartache is her failing as a mother to her son, Hugo, who she never loved properly and to whom she has done something entirely repellant. She doesn’t see how the situation can ever be repaired. Fleeing her life some years ago, she has shut down emotionally. 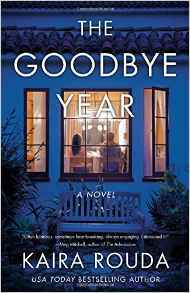 Over the course of the book she starts rebuilding her relationships and begins to make new friends. She learns to rely on herself and trust her abilities. I wanted Myriam to succeed and I rooted for her, although I thought she was a bit disturbed. There are a couple of interesting peripheral characters. Vincent is a florist in the shop next door with a crush on Myriam and breath that could kill an elephant. Little brother Charles is a successful businessman, and Ben the waiter is happily asexual. Food and friendship are at the heart of Chez Moi. It’s a slim volume but a slow read. The vivid description of food is a highlight and the writing is pleasant but there is virtually no action. Some might find it boring, but I liked Myriam and I’m glad I got to know her. 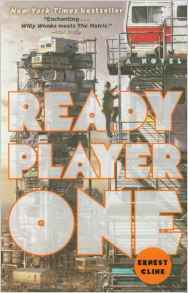 I liked the book for it’s dreamlike quality, the interesting turn of phrase and use of language. I’d recommend it to those who enjoy character driven stories and beautiful writing, but if you like a little more plot and a story that moves along quickly, this isn’t it. 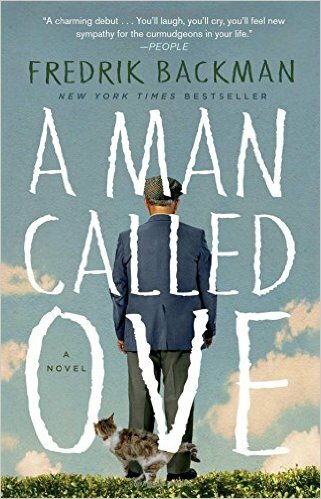 I heard about this book from author Jennie Shortridge, who recommended several books as alternative choices for book clubs in this post. My own book club will discuss Chez Moi in January. It will be interesting to see what everyone thinks, because it was definitely a different kind of read than what we’re used to.